Sealing Brick Pavers seems pretty simple and a lot of the times it is. 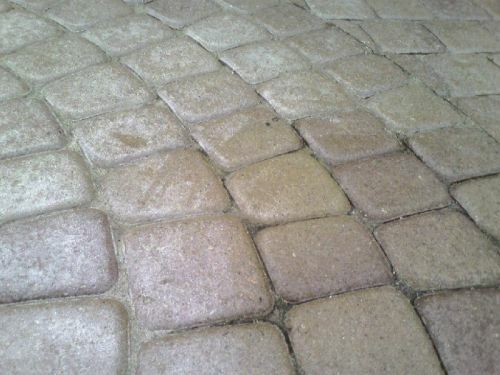 But there are also a lot of things that can go wrong and certain conditions that can cause brick paver sealer to fail. 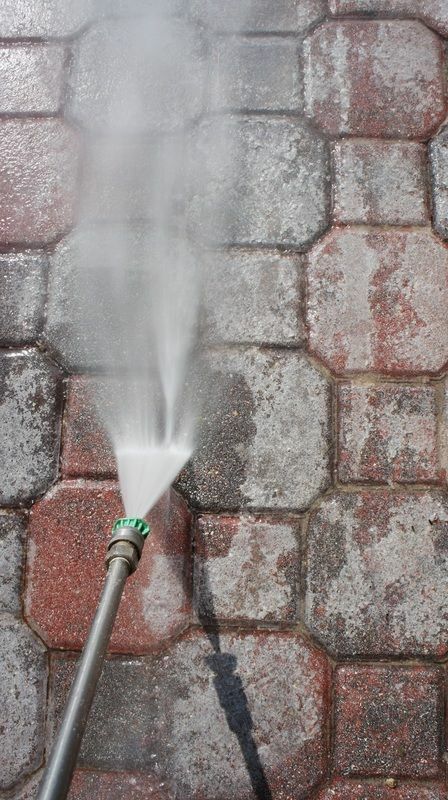 It could turn white and cloudy, yellow, bubble, peel, flake off and make your once beautiful brick driveway or patio look horrible. We get at least a few calls a week about sealer that has failed. 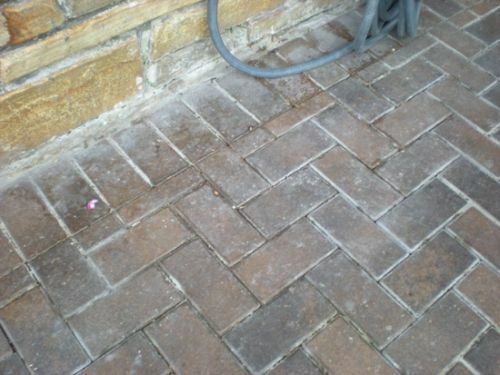 Almost all the jobs we see with failing brick paver sealer was caused by application error. Either the homeowner tried sealing it themselves or they hired someone without the proper training to apply solvent or water based brick sealer. We get a lot of customers say their lawn care or landscape company, painter or handyman was the one that sealed it. 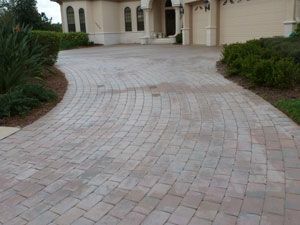 Sealing paver surfaces is best left to someone that specializes in it and does it on a daily basis. Someone that has training and certifications from the sealer manufacturer and knows what conditions to look for that could lead to sealer failing. At Paver Protector we have certifications from Techniseal, Surebond SEK, ICPI(Interlocking Concrete Paving Institution, NCMA(National Concrete Masonry Association, and are graduates of the School for Advanced Segmental Paving. Major brick paver, polymeric sand and sealer manufacturers come to us for feedback and advice on cleaning and sealing brick pavers. The good news is even though you might have hazing brick paver sealer or peeling brick sealer we can always fix the problem and restore your patio or driveway to a likke new appearance. 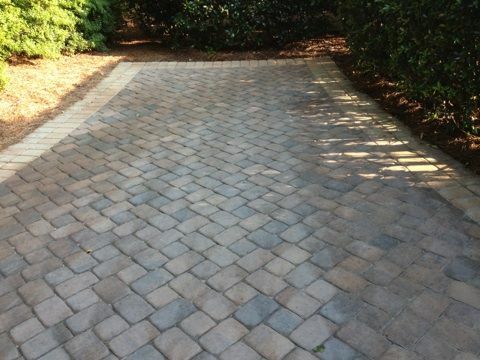 Through Brick Paver Stripping we remove the old incorrectly aplied or failing sealers after which we can resand the joints and properly apply a quality brick paver sealer. 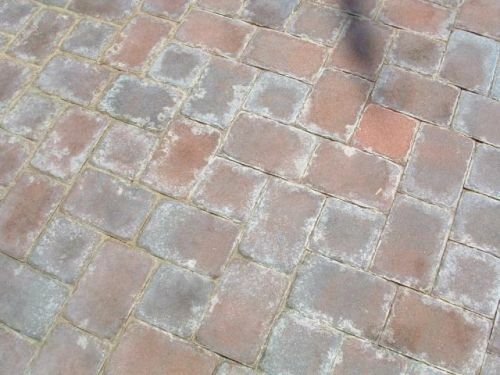 The bad news is stripping pavers often costs much more to do than actually sealing. On a job that might be $1.5 to clean and seal it might cost $2-5 to strip the sealer and then another $1 or so to resand and seal. We hate to have to strip any brick pavers because it means someone is paying way more than they should have had to. We also don’t like stripping sealer because it is a very difficult and nasty process. While saving money on the original clean and seal might have been nice it often leads to spending a lot more down the road. The old saying of “you get what you pay for” is almost always true. If you’re brick pavers look anything like the above please Contact Us for free advice on dealing with the problem. 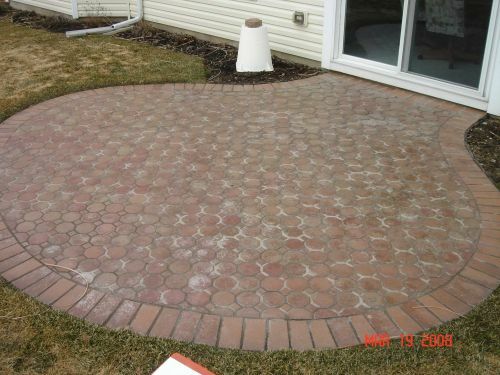 If you’re in the process of getting quotes to seal your pavers make sure you are getting those quotes from a company like Paver Protector that specializes only in Brick Paver Restoration.